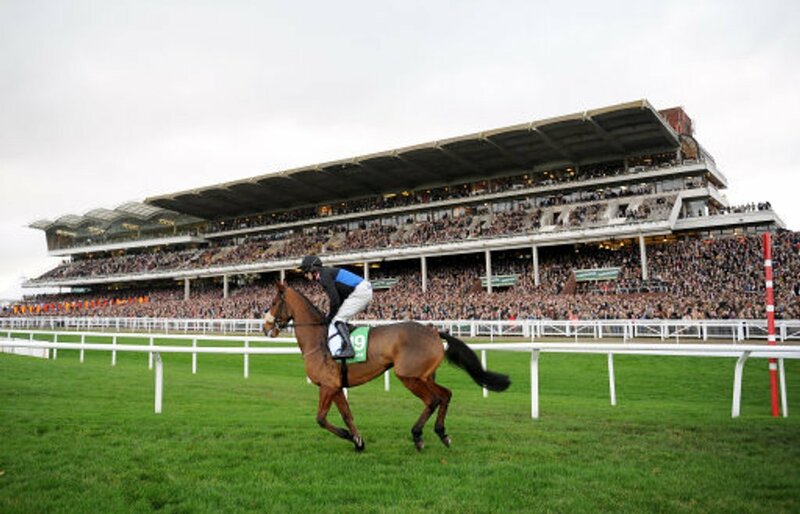 The Caspian Caviar Gold Cup - also referred to as the December Gold Cup, is a Grade 3 National Hunt steeplechase run on the New Course at Cheltenham, over a distance of about 2 miles and 4½ furlongs. During its running there are seventeen fences to be jumped, and this year's renewal will be the 55th running of this Christmas Handicap. The race is often contested by horses which ran previously in the BetVictor Gold Cup here a month ago, and three fortunates have gone on to complete a rare quick-fire double in the same season: Pegwell Bay, Senor El Betrutti and Exotic Dancer, with the Gary Moore-trained Baron Alco looking to become the fourth. All of the last fifteen winners since 2002 have been aged eight or younger, suggesting that veterans are usually run down by the youths. 12 of the last 15 winners had won over at least 2m4f over fences before, with the same number placing in the top three last time out. 13 of the last 15 had ran in the last five weeks, with ten of the last 15 racing at Cheltenham before - four of them winning. Five of the last fifteen winners ran at Cheltenham last time out, with the same number also running in the BetVictor most recently (with just one of them winning). Weight is an issue in any handicap, with ten of the last 15 officially rated 142 or higher, and three less carried 10st13. French breeders have a sensational record in this race, with nine of the last fifteen finishing victorious. Paul Nicholls and Nicky Henderson have trained four and three winners respectively. The average winning SP in the last 16 runnings is 10/1.